The 14th Joint Workshop on Urban Design & Conservation (JWUDC) is an International workshop and a ready platform for university students of built environment background such as Urban Planning, Urban Design, Architecture, Landscape Architecture and others. This workshop mainly to explore urban design approaches in preserving the urban heritage, architecture styles, heritage landscape and also the value of cultural heritage in the selected urban area and the historic site within Southeast Asia countries. 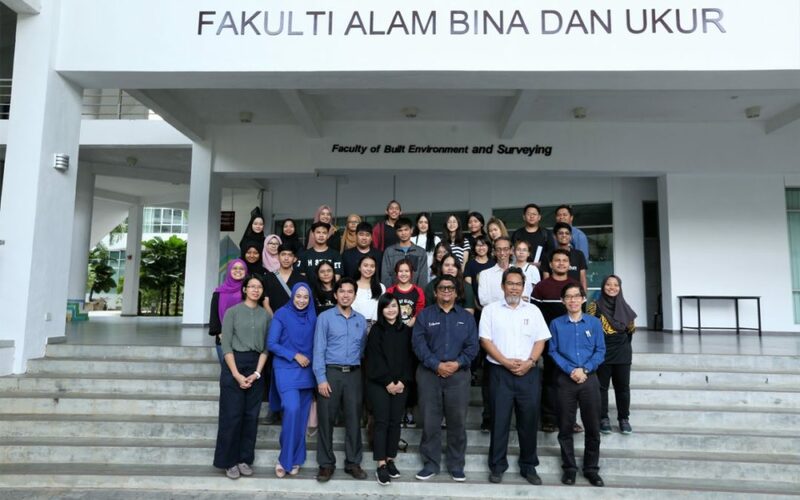 Faculty of Built Environment & Surveying (FBES), UTM become a host for the 14th series of JWUDC from 9th – 16th April 2019. The Talk Series@FBES was held at FBES on 10th April 2019 located at Gallery FBES. The Talk Series was given by the Dean of FBES, Prof. Ts. Dr. Mohd Hamdan bin Haji Ahmad, Assoc. Prof. Dr. Raja Nafida bt Raja Shahminan, Director of Centre for the Study for Built Environment (KALAM), Dr. Noor Aimran b. Samsudin, Dr Lee Yoke Lai and Ar. Noraslinda bt Abdul Rahman, the Senior Lecturer at Faculty of Built Environment and Surveying.